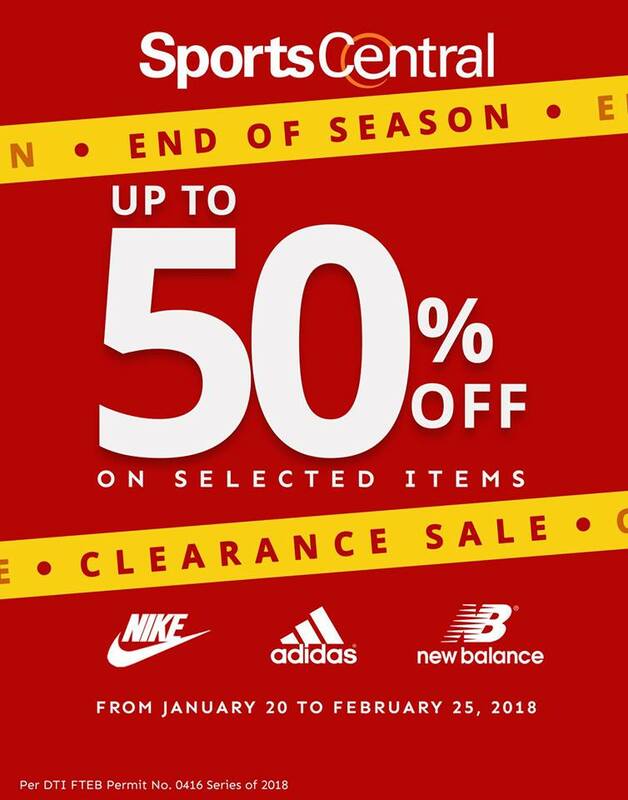 Check out Sports Central's End of Season Clearance SALE happening now until February 25, 2018. 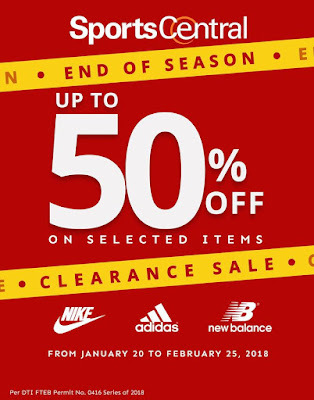 Get up to 50% off on your favorite sports brands like Nike, Adidas, New Balance, and more. Head to your favorite Sports Central stores now!